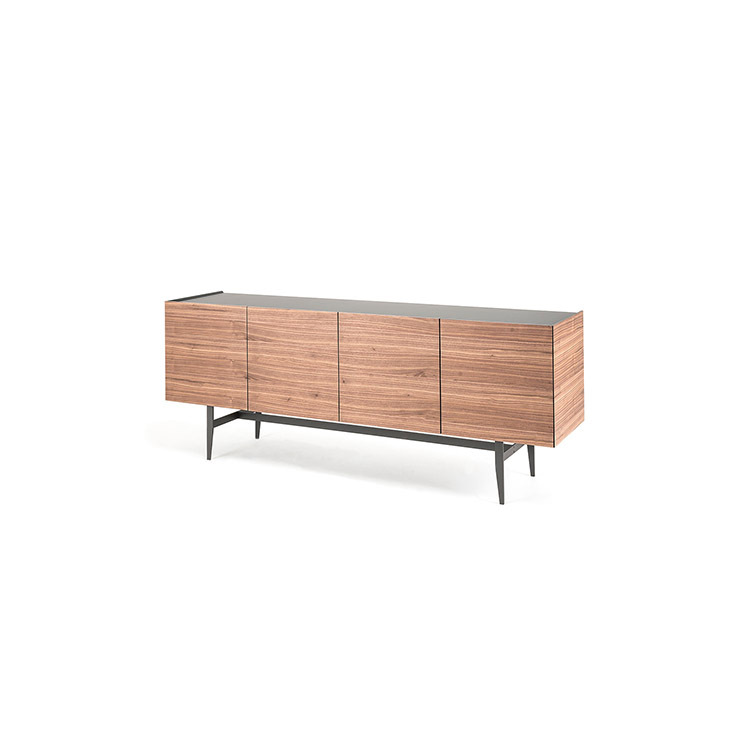 Sideboard with 3 or 4 doors in Canaletto walnut or burned oak. Top in graphite painted frosted extra clear glass. Graphite embossed lacquered steel base.